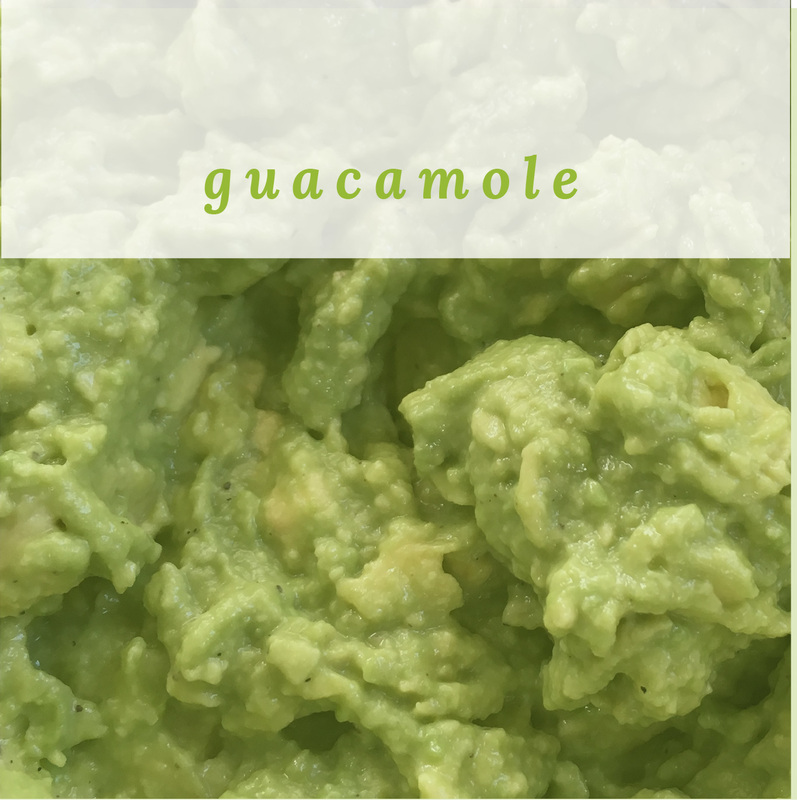 Guacamole is a staple at our house and it’s so easy to make as long you have ripe avocados, lemons, and garlic at hand. Avocados are nutritional powerhouses providing healthy fats, fiber, and are a rich source of vitamins such as vitamin E, B5, B6 and folate. Avocados are also very low in sugar, and the high-fat content makes avocados satiating. It’s perfect as a dip and goes really well with leftover chicken, Super Beef and roasted sweet potatoes. Since I like my guac tangy, I add lots of lemon juice with the additional benefit of keeping it from going dark (oxidizing), for a couple of days in the fridge. Unless you need to use the avocados right away, it’s ok if they are firm when you buy them. When buying avocados on the firm side, the advantage is that you know where they are in their ripening and you can avoid avocados past their glory. Ripen firm avocados in a fruit bowl next to some apples to speed the ripening. Press the avocado with your thumb, it is ripe when it gives and feels soft under the skin. Avocado also darkens in colour as they ripen, giving you a clue that it is time to make guac, or move them to the fridge where they will keep for at least one week. Select 4 avocados for your guacamole, making sure they are soft when pressed by your thumb. Feel the avocado in several places since sometimes avocados ripen unevenly. Begin by placing all ingredients on the counter. Rinse avocados and lemon. I like to make my guac in a glass bowl, ideally one that has a tight fitting lid if there's left over. Press garlic cloves into the bowl and set aside. Pressing the garlic actives the allicin (what makes garlic so good for you), this takes about 10 minutes so I always start with the garlic. Slice avocados down the middle, vertically from the top to bottom. Once all avocados are sliced, tip out the pit by gently squeezing the avocado half "top to bottom". If the pit is stubborn, use your knife to lift out the pit. With the side of a spoon (I like to use a large tea spoon or dessert spoon), cut a crisscross pattern in the avocado flesh, then scoop out into the bowl. Juice lemon and pour over the avocado. Add salt, pepper, and cilantro or parsley if using. The dried herbs add extra nutritional punch and green colour. With a dinner fork, mash the avocado mixture against the side of the bowl. You can make it very smooth or a bit chunky. Consistency will depend on your preference and the creaminess of your avocados. Get more recipes and resources on how to live an anti-inflammatory lifestyle. www.TrulyU.com | Annika Ek RHN, CH, NNCP - Functional Nutritionist | Regain Your Glow(TM). Annika Ek RHN, CH, NNCP is a Functional Nutritionist specializing in autoimmunity and women's health. She knows first hand what it takes to come back from autoimmunity and chronic illness. Annika works with clients in person in Ottawa, Canada and long distance globally, click here for more information. Annika is also an educator and her signature program is "Live the Anti-Inflammatory Lifestyle - Fundamentals". For free resources visit www.TrulyU.com.